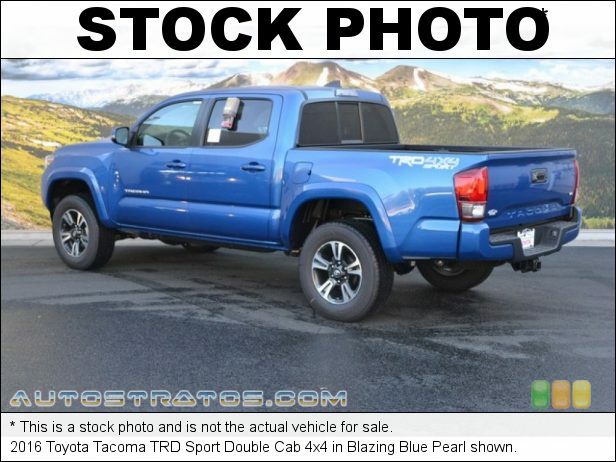 Introducing the 2016 Toyota Tacoma! A comfortable ride in a go-anywhere vehicle! This model accommodates 5 passengers comfortably, and provides features such as: a tachometer, remote keyless entry, and air conditioning. It features four-wheel drive capabilities, a durable automatic transmission, and a 3.5 liter 6 cylinder engine. Our aim is to provide our customers with the best prices and service at all times. Please don't hesitate to give us a call.